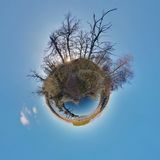 New year little planet. 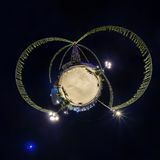 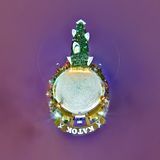 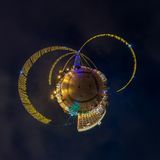 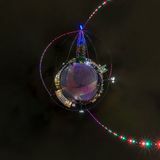 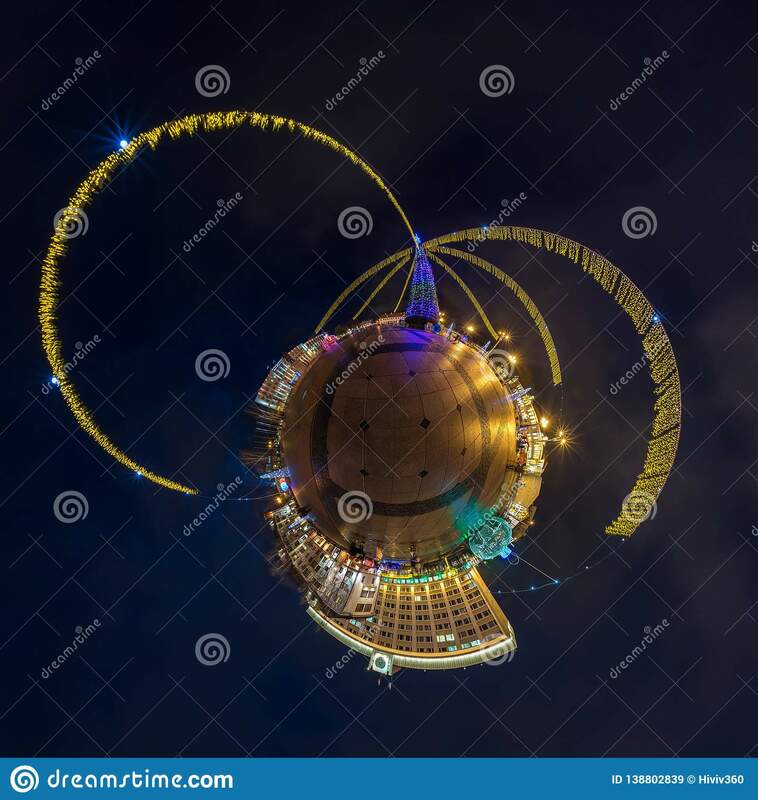 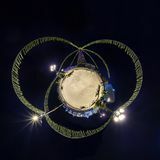 Spherical aerial 360 degree panorama night view on a festive square with a Christmas tree. 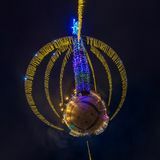 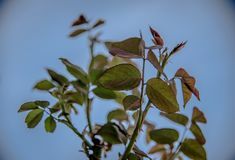 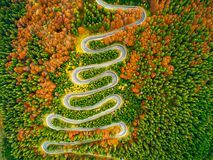 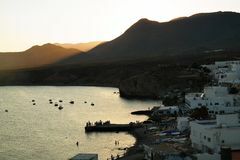 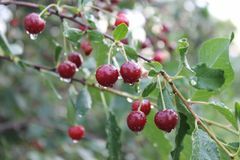 Decoration, evening.